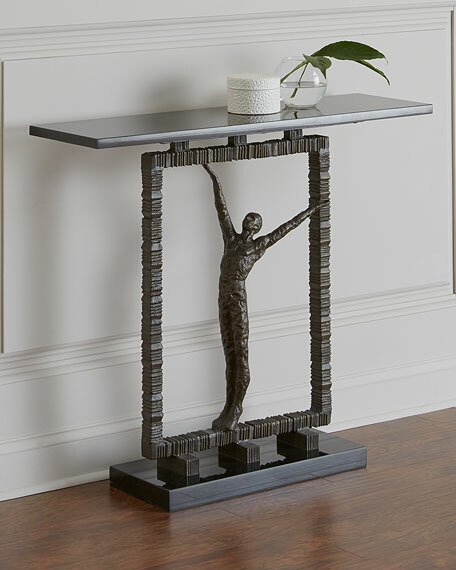 Whether feats of strength or grace or just capturing a quiet moment, this sculpture tells the story of the human condition through raw materials. 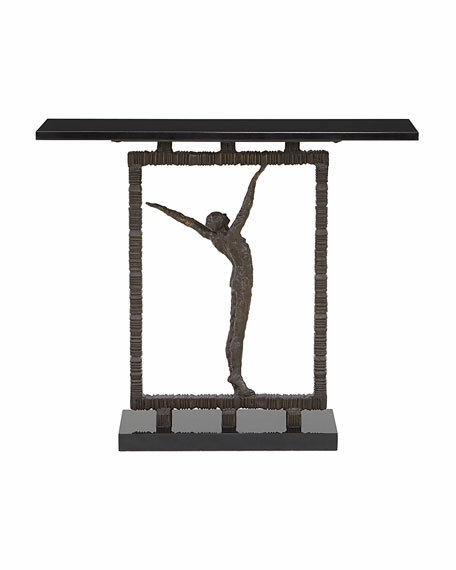 Our Reach Out of the Box Console Table is a tribute to creative thinkers everywhere. Black granite, iron and plastic glides. 40"W x 12"D x 35.5"T.
Boxed weight, approximately 289 lbs.